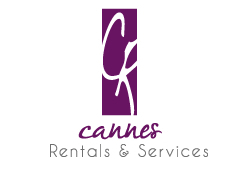 Cannes Rentals & Services makes your stay during congress in Cannes easier. Rent an apartment or a villa for your congress in Cannes. Cannes Rentals & Services, provides apartment and villa rentals for corporate, from functional to luxury, during conventions in Cannes. Your rental comes with hotel-type services for your comfort during your business trip. Our role: make your accommodation-hunting and your stay easier. Most of our apartments are located within walking distance to the Palais and the beach. For all your needs, from studios to 5-bedroom apartments and more! Furnished and equipped quality apartments carefully selected. A multilingual professional team at your service. Personalised limousine transfer from and to the airport.